FIFA 16 coming soon. Electronic Arts on Friday announced top rated players on this professional worldwide popular soccer game. 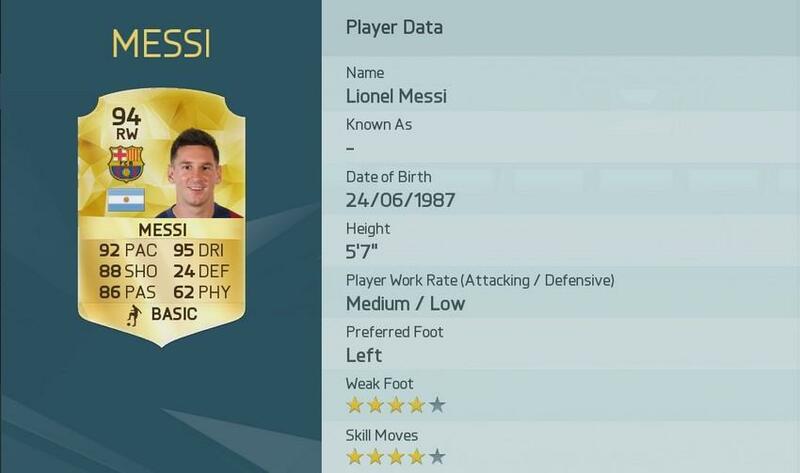 As you might have guessed, best is Lionel Messi with 94 overall rating. These ratings are based on last 365 days of performances. And FIFA 16 release date is set for September 22 on consoles and PC. Cant wait it.